Step 1: Set the Aculife machine to detect mode. Step 2: Using the Plus and Minus buttons, set the intensity level to one which is comfortable for you and increase or decrease it as necessary. Step 3: Ensure that you have an earpiece inserted in your left ear or a patch stuck onto your left forearm and that the other end of the wiring loom is plugged into the Aculife Unit. The fat part of the earplug goes in the bottom of the ear and this part should be inserted first before trying to push the ear piece home. Step 4 : Place the blue pointing device against the ‘Shao Shang’ of your left thumb? this is near the cuticle of your thumb with your hand facing downwards. If the intensity you experience in ‘Shao Shang’ is painful, then reduce the intensity bars by using the minus button until the sensation becomes acceptable. Step 5: Run the blue pointing device over your hand, both back and front, without lifting it from the surface of the skin. 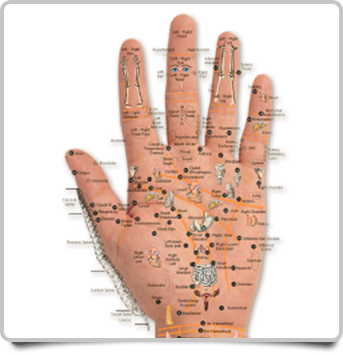 When you find specific Acupoints in your hand, which generate the same sensation or a stronger sensation than that of ‘Shao Shang’, it means that specific Acupoint reflects some potential problem in your body. Chinese Medicine is all about balance. According to custom and practice, the most painful point should be ‘Shao Shang’ if the body’s condition is perfect. If other specific points are more painful than ‘Shao Shang’, it reflects that your body is not in balance. The ‘Shao Shang’ is a key reference point and the sensation felt on other parts of the hand should continuously be compared to this. Step 6: Simply mark all the points where you get a strong sensation with a biro or marker. Please note that the heart, lungs, kidney, liver and spleen Acupoints are balancing points for you body and often show up in relation to other ailments. Unless all points for a particular organ show up a very strong sensation, then it is unlikely that the organ is problematic. If in doubt, see your doctor. If you find that you are getting a buzzing sensation in your ear, you should rub a little water-based hand or body lotion on the ear plug and then replace it in your ear. This will ensure that there is a good connection and that you get the maximum benefit from the magnetic wave. Alternatively, try a different size of ear plug and start again. There is an optional accessory kit available to replace the ear connection completely should you find it uncomfortable. If the user feels a prickling sensation similar or stronger than the ‘Shao Shang’ on a hand Acupoint, this indicates that a possible health or pain problem has been found. 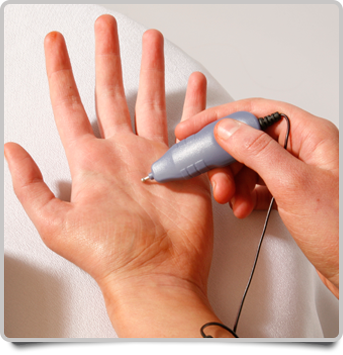 If the user feels a vibrating sensation from a hand Acupoint upward or downward from the point being touched, then this indicates that a potential inherited health problem exists or that the organ related to this point is experiencing a problem. 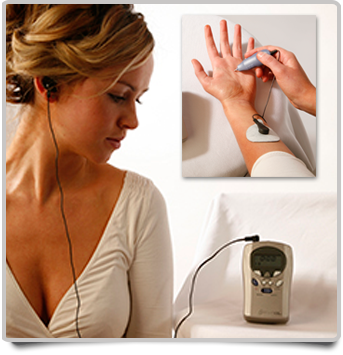 If the user just feels a mild sensation from the Acupoint being touched, then this indicates that there is no problem with that particular organ or system. It is important to note that different people experience different levels of sensation on the ‘Shao Shang’, as well as on other parts of the hand. Do not use Aculife when suffering from extreme fatigue or hunger. Rest first for 30 minutes and have a light meal. Then you may proceed with diagnosis and therapy. Rest for one hour after having a meal before using Aculife. Dry your palms before using Aculife. In cold weather, you should warm your hands before use. Refrain from cold showers or cold drinks after session. A one-hour rest is recommended after each use. After using Aculife for 15 consecutive days, refrain from using it for 3 days before continuing with further sessions. Some patients may develop a skin rash after the session; this rash is normal and will disappear about one hour after the session. 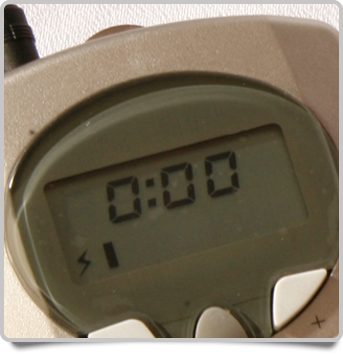 The detector wand should not have contact with any metal object such as a watch or rings. 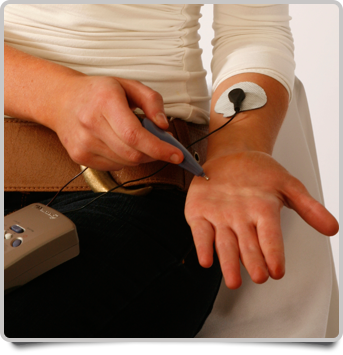 During treatment, the magnitude of stimulation varies in different individuals. However, the higher the power setting the quicker the effects will take place. The intensity of the magnetic can be classified into 15 grades. It is advisable for new users to begin with 1st grade and gradually adjust to higher grades, according to individual adaptation. Drinking 300-500cc of warm water is recommended after treatment. Please do not drink cold water or take cold shower or bath immediately after treatment. This product is designed for health care. Systematic use of the product is highly recommended for good health maintenance. In other words, you should consider using it on say your digestive system on day one, followed by cardiovascular system on day 2 followed by respiratory system on day 3 and so on. If you get uncomfortable after using Aculife, please consult a doctor. If you are currently undergoing any medical treatment, please consult your doctor before using this product. Do not get Aculife wet. Humidity may disrupt the functions of the unit. Do not drop the Aculife. Use the correct AC adopter voltage. The AC adopter should be CE approved. Continual use of this product consumes electrical power. If battery power is used, please use an alkaline battery. The intensity of the magnetic wave in Detect mode power level 2 is greater than the power level 1 in Relieve mode. Detection is best when using power level 2 in Detect mode. Do not use Aculife by placing the earplug into your left ear and using the pointer on your right hand or do not place the earplug in your right ear while using the pointer on your left hand. Do not use Aculife in the region of your heart, head or face.